Our family-owned dealership has been happily operating in Santa Fe for nearly three decades. In our time, we have always put the customer first, and it has paid off time and time again through repeat business and referral customers. The true test of any business, and especially a car dealership, is if someone comes back to buy again, and we are proud to say that we have passed that test countless times. If you have never been to Santa Fe Mazda, then we encourage you to come on down and learn first hand why we have so many loyal customers. Our location in Santa Fe makes it easy for any area car buyers to get out to us. We even have regular customers from over in Las Vegas and countless other communities all across Northern New Mexico. We would love for you to come out to see us, and we can’t wait to hear from you. Until then, let our website be your introduction to our dealership and the Mazda brand. Look around and see all that we have to offer at Santa Fe Mazda. We love that we can sell Mazda models right here in Santa Fe. There is something special about the Mazda brand, and you have to get behind the wheel to see exactly what mean. They have the features, and they have the style, but it’s the drive that really makes them a cut above the rest. They do not sacrifice driving attitude for any model, and that includes the Mazda CX-5 and the Mazda3. Let us get you behind the wheel, even if it’s just for a test drive. This way you can truly see what we mean. 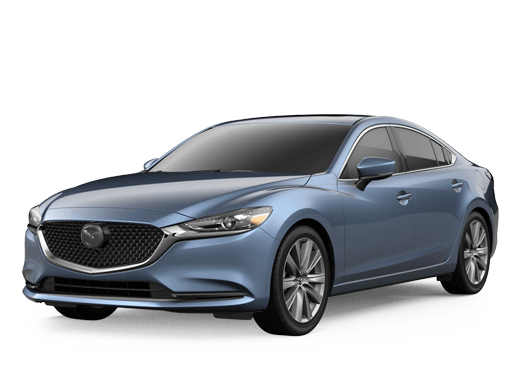 Not looking for a new Mazda just yet? Then Santa Fe Mazda can still help you out. We have a huge used inventory that not only includes many used Mazda options, but options from other brands as well. What’s more, our service department has carefully inspected every model that we have listed in our used inventory to ensure that it will provide you the quality that you need from your next car purchase. Whether you are interested in new or used, you can browse through our entire inventory online right now. Take a look around, we are sure to have something that you will like.